THE MOVE by the Solidarity has been described as uncalled for and some labeled it a tongue peppered with racism. 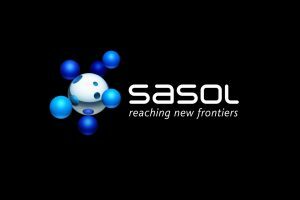 This follows their outcry and th reat to shut down some of Sasol’s operations. At core is a share ownership scheme offered only to black staff members and this has not gone well with the Solidarity group made up of Whites. This is against the new share scheme Khanyisa which they’ve criticised for being excluded. The share scheme that has been proposed, is one that seeks to deal with income inequalities within the Sasol environment, but Solidarity’s CE Dirk Hermann sings from the different tune saying the scheme is not about income inequalities. He says they resolved the matter of the charter, saying workers are workers and you don’t discriminate on the grounds of race. Solidarity also claims Sasol has taken transformation way too far. African National Congress (ANC) Pule Mabe says while they understand that the right to strike is protected by the Constitution. “Our own understanding has been that this share scheme that has been proposed, is one that seeks to deal with income inequalities within the Sasol environment. On the impact of the strike, Wilmar Buys, a director at FFO Securities says it depends on the duration of the strike, at this point there is little impact. The strike is planned to continue for three weeks. Sasol’s shares were 0.6 percent lower at 572.29 rand. A comment from Sasol was still pending at the time of publishing.